The horoscope bestseller from astrosofa.com: That's how the stars stood at your birth! 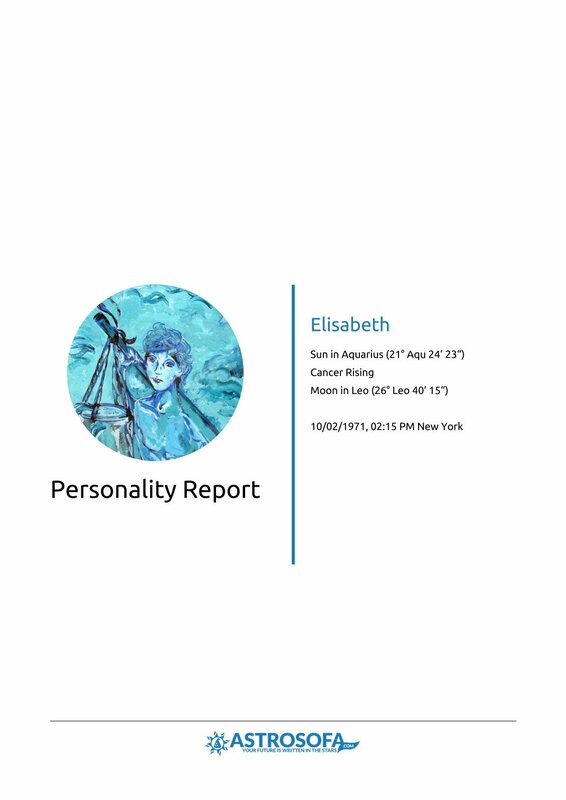 This birth report tells you everything about your personality from an astrological point of view. 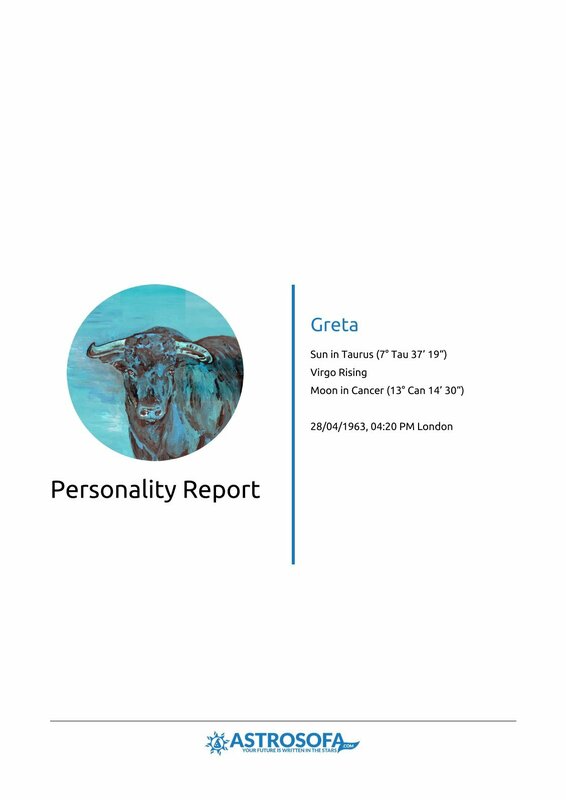 It includes all about the Zodiac Sign & Ascendant (the rising sign), about your Moon Sign and much more: Learn where your strengths and weaknesses lie. You will be amazed at what your horoscope will telling you. The number of pages: approximately 30, it depends on the date of birth and may be variable. PDF file: Immediately after payment receipt. Usually within a few minutes after the placement but no later than one business day. You can pay with PayPal, credit card, direct debit. Astrological content: Interpretation of the 10 planets from Sun to Pluto, as well as the moon nodes in signs and houses, of AC and MC in the signs and main aspects (plus sextile and quincunx) of these planets to each other and to the axes. All customers can rate our products at eKomi independently and anonymously. Overall rating: 4.31 of 5 stars. There were 13 reviews submitted. I wanted to know the planetary alignments at the time of my birth & understand their effects! My natal report was accurate, extremely detailed and offered tons of extra insights! I would highly recommend this product & I will be personally ordering now reports in the future! Thank you Astrosofa! I would recommend to family and friends. The natal report was very informative and helped me better understand why I do some things I do and how to work on those aspects of my life. I feel as if these were a god send because he knows how much I’ve been wanting to change for the better and grow with him. The stars, obviously created by him, were placed for obvious reasons and all have a purpose. The report was Very eye opening and easy to understand. I recommend them fully. I love to read about my birth and I would recommend to anyone with common interests in astrology. Used it for insight on self. Would recommend to family & friends. High Quality.